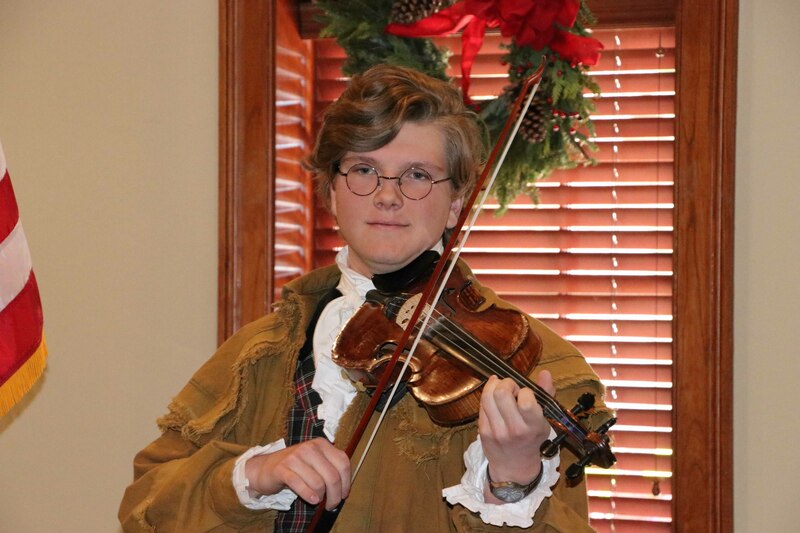 He’s only 18 but with amazing musical talent, a keen sense of American history, and the ability to step back in time and bring his audiences with him, James Linden Hogg is a speaker, singer, songwriter, and musician of the first order. Attendees at the Ronald Reagan Newsmaker Luncheoon applauded and laughed as James took the audience through some of the best American folk songs of the 18th and 19th centuries. The music, much of which can be traced directly to the Celtic peoples of Ireland, Scotland, and Wales, is more than familiar to Southerners, many of whom share those roots. James, who has been home schooled by his parents, has a manner and a wit that are engaging. At the Reagan Luncheon, his tunes gradually shifted from Christmas music to the rollicking music of the pubs! You’re soon singing along and stomping your feet to the music and you suddenly realize we’re not in church anymore. James’ father and mentor Jim Hogg, an outstanding entertainer, generally takes a back seat and keeps the spotlight on James. 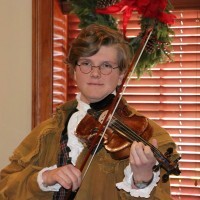 James is Louisiana Fiddle State Grand Champion and has been invited to participate in American Idol, which he declined. James Linden Hogg’s performance at the Chamber EBR was only a sample of the one-man performance he will provide at 7:30 p.m. on Valentine’s Day at the Manship Center downtown. James will carry guests through five periods of American history with samples of music from each. The cost is $22 a person. For tickets, go to https://www.manshiptheatre.org/show/james-linden-hogg.